Coconut oil, due its high saturated fat content was branded as unhealthy and artery-clogging which could cause heart diseases. This claim has been widely disproved by the scientific community and it is now being hailed as one of world’s healthiest cooking oils. Though it may take time, perceptions are slowly changing as people are beginning to realize its tremendous benefits. Coconuts and coconut oil have always been a part of the cuisine in tropical countries like India (South) and Sri Lanka and even today coconut is indispensable in their diet. For now, let’s leave aside the health benefits and focus our attention on the beauty uses of this wonderful oil. South Indian women swear by it. They attribute their dense, long, raven black hair and a flawless, clear complexion to good genes and the liberal use of coconut oil in their diet and beauty regimen. This post may contain affiliate links. Please read the complete disclosure policy to know more. Technically what makes it a good oil to use for cosmetic purposes and skin care is its chemical formulation. Its small molecular structure allows for easy absorption through the skin, giving it a soft, smooth texture and hence is an ideal treatment for dry, rough and wrinkled skin. Unrefined Pure Virgin coconut oil is extremely high in antioxidants that can penetrate deep into the underlying tissues of the skin to prevent and protect against the formation of free radicals that make the skin lose its elasticity. Regular application protects the skin from developing ugly spots and blemishes caused by aging and overexposure to sunlight. That’s why this oil is regarded as the best natural ingredient lotion for the skin. It’s also very inexpensive and is easily available. The lovely smell and feel of virgin coconut oil is so enticing that you will fall in love with it. One of the previous posts The luxury called ‘oil bath’, had elucidated how a pre-bath whole body massage with oils, better known as ‘Abhyanga Snana’ in Ayurvedic terminology keeps the skin soft, young and supple for years. After bath, just pat yourself dry; do not rub your skin vigorously with the towel so that your skin retains a bit of oiliness. This oil-massage is also highly recommended for people with extremely dry skins, persons of all age-groups and for all skin-types in winter. And if you do not have the time to indulge in an oil-massage everyday do remember to add a few drops of coconut oil to your bath water. Coconut oil can work as an excellent skin moisturizer if applied immediately after a shower. Oils such as olive, jojoba or coconut oil, and Vaseline (petroleum jelly) sit on top of the skin and lock in moisture, thus acting as a water sealant. That's why they work best when applied to damp skin. Keratosis pilaris, a skin problem can be alleviated with the regular use of coconut oil on body after a bath while the skin is damp. People suffering from mild to moderate Xerosis due to some defect in their skin’s barrier have a dry, rough, scaly, and itchy skin. They should regularly moisturize their skin with pure coconut oil after bath to deal with this condition effectively. An external application of coconut oil also relieves eczema symptoms. It can also help in conditions like fungal infections in toes, athletes foot. As an under-arm deodorant it helps to prevent body odour. If you can’t help venturing out in the hot sun often, then apply coconut oil to your scalp as a protection from the harmful and drying effects of the UV rays and also do not forget to soothe your skin afterwards with a liberal application of aloe vera gel to which a few tsps of coconut oil is added. Do not forget to add a few drops of coconut oil in your face-packs in winter, if you are above thirty and if you have dry to normal skins. For cracked heels, combine coconut oil with petroleum jelly (Vaseline) and apply over those areas before going to bed. Dry, flaky lips can also be rejuvenated with a liberal application of pure coconut oil on them. Take half of squeezed lemon and pour half a teaspoon of coconut oil in lemon skin, rub on dry and dark elbows and knees to help with spots. Use it to remove eye makeup by gently applying it on damp cotton wool and delicately remove it with gentle inward motion. Coconut oil can be used as a pre-shampoo hair conditioner. Warm the bottle of coconut oil by placing it in a container of hot water and then take a few drops of this warm oil in your palm and massage it gently into your scalp. It smells nice and as mentioned earlier its small molecular structure allows for easy absorption into the scalp. You can leave it overnight. This oil-massage also ensures a peaceful slumber and is especially recommended if you have trouble falling asleep easily. Shampoo it off the next morning and it will leave your hair with a smooth texture. If you do not like to keep it the whole night, then apply it a few hours before washing your hair and cover your head with a shower cap to allow deeper penetration. But you can get better results only by leaving it overnight. This treatment with coconut oil is as good as an expensive hair treatment at the salon. Coconut oil application also helps with dandruff problems too and hence much preferable to other strong medicated shampoos. You can also prepare many herbal oils using coconut oils as the base. For instance, this Aloe-oil helps with split ends and this Amla (gooseberry) hair oil and hibiscus-based hair oil not only promote hair-growth and prevent premature graying but also help with insomnia. Curry leaves oil also delays premature graying of hair. Here’s the procedure of preparing it. Take a bunch of curry leaves and grind it with little water to get a paste. Add this paste to 2 cups of coconut oil and heat the mixture till all the moisture evaporates. After it cools, store it in a bottle. Use this to deal with gray hair problems. I <3 coconut oil when my skin is really dry during Winter. And that's the same brand I use! I never new the various uses of coconut oil. Thanks. Thanks for the terrific information on coconut oil. Very true that this oil puts back the healthy shine and bounce to hair. Have to say my hair has grown noticeably faster since using virgin coconut oil. rub a little bit of coconut oil to the ends of your hair and on the roots; do this to dried hair. Natural products are great for giving your hair a rest from all the harsh chemicals in some shampoo and conditioner, and they always seem to smell much nicer for having natural ingredients in. The key point in the treatment for wrinkles is to keep the skin soft and moist. Dry skin is more prone to premature wrinkling. Recently it has been discovered that Virgin Coconut oil has a molecular structure that helps in its easy absorption into the skin. Therefore, VCO when massaged to the skin makes it soft and supple as well as helps in rejuvenation. Regular use of coconut oil for face massage before going to bed prevents the wrinkle formations and also keeps the skin glowing and fresh. If you have an extra dry skin you can also drink virgin coconut oil to maintain the skin moisture. If you want thicker, shinier, or stronger hair, try a scalp massage with Coconut oil. Warm the oil in water and massage it onto the scalp of your head, leave on overnight and then rinse. Do this once a week. It also helps strengthen thinning hair. Great tips! The coconut oil does work great for shiny hair. I enjoyed this article and learned much. I'm going to try coconut oil on my hair. Thanks. Virgin Coconut Oil to be one of the best healing products on earth! I love organic, extra virgin coconut oil. Thank you for the great recipes on the various ways to utilize its benefits. I love coconut Oil now & use it all the time. It helps protect your hair and makes it shiny & manageable. Coconut oil is very useful in reducing weight. It contains short and medium-chain fatty acids that help in taking off excessive weight. It is also easy to digest and it helps in healthy functioning of the thyroid and enzymes systems. Further, it increases the body metabolism by removing stress on pancreases, thereby burning out more energy and helping obese and overweight people reduce their weight. Hence, people living in tropical coastal areas, who eat coconut oil daily as their primary cooking oil, are normally not fat, obese or overweight. Unlike traditional and sulfate-based cleansers, Snob Girls Professionnelles pure mild cleansing systems, derived naturally from coconut, gently cleanse without the risk of altering, breaking, eroding or stripping the natural lipids, essential hydration, natural vital protections of hair and the collagen found naturally in normal skin. Coconut oil promotes secretion of insulin from pancreas and thus helps control diabetes. Recent experiments have proved that regular uses of coconut oil can greatly reduce the chances of diabetes. I recently read that coconut oil was safe and works very well as a lubricant for vaginal dryness. Coconut oil is one of the best natural nutrition for hair. It helps in healthy growth of hair providing them a shinny complexion. Regular massage of the head with coconut oil ensures that your scalp is free of dandruff, lice, and lice eggs, even if your scalp is dry. Coconut oil is extensively used in the Indian sub-continent for hair care. It is an excellent conditioner and helps in the re-growth of damaged air. It also provides the essential proteins required for nourishing damaged hair. It is therefore used as hair care oil and used in manufacturing various conditioners, and dandruff relief creams. Coconut oil is normally applied topically for hair care. Coconut oil was a godsend to my overly bruised skin (from too much running, which I’ve since quit), and it’s a great base for salad dressings. My hair really could use this! I've heard good things about grapeseed oil too. Overall, i love oils on my legs. It's guaranteed to keep 'em looking great. This oil is very big for beauty and health purposes in India. I had this chronic fatigue problem for the last 2 years or so. I tried taking a lot of medication, but nothing really helped! Finally I started taking 3 tbsp Coconut oil a day and praise God I felt my energy level renewed & refreshed within a week! Now it's more than a month and I don't feel tired and run down anymore, as I take 3 tbsp of Coconut oil a day, and no other medication of any sort. I thank God for this wonder working oil. Now I tell everyone I meet about the positive effects of Coconut oil to our body I'm sure Coconut oil will help you too! Excellent article. well written, thanks for the info - will be back again. i would recommend coconut oil for natural hair. it’s all natural, and very good for textured hair. my sister, who has been wearing her hair naturally for more than 10 years now swears by it. Tender coconut water dabbed on blemishes and left for ½ an hour. Repeat for 15 days. I use coconut oil as a conditioner and it makes my hair very soft and shiny. I have read a book The Truth About Coconut Oil and it seems that it is a good supplement. In fact I have been taking it for 5 weeks already and I feel a lot better with my knee joints. Great article and also great tips in the comments! Using different hair oil and many hair gels did not gave me any change in my hair condition. Finally my elder sister suggested me use coconut oil and I started using Parachute uttam coconut oil which prevented my hair to be fallen and made very silky. can someone explain the coconut oil and lemon skin for dark elbows and knees??? Massage a small amount of liquid coconut oil into the hair.Leave for at least 20 mins or overnight and wash out As a conditioner – massage into hair and the dryness caused by tongs and heat on the hair will be controlled. Peppermint oil helps stimulate the scalp, which increases oxygen and nutrient flow to the hair follicles. But peppermint oil will not fix everything on it's own. You want to make sure you have a healthy hair growing environment in order for hair to grow. It makes it stronger and more moisturized which might help prevent hair loss. I would also recommend taking it internally because dry hair that falls out easily is a symptom of hypothyroidism and coconut oil is renowned for helping the thyroid. It is a powerful anti fungal; this oil is study-proven to completely eliminate dandruff and psoriasis. In a recent study, 64% of women who had psoriasis on their scalp were cured in just 2 weeks! It instantly penetrates the cuticle and fills it out so that you will never get hair that is frizzy and out of control! Volumizes hair naturally adding body and holds any hair style in place without excessive expensive chemical hair treatments. Restores total shine and manageability without chemicals leaving the hair soft and renewed. Provides nourishment to hair roots, improve blood circulation in the scalp and will Instantly stop premature graying and hair loss (you will get the soft , silky , healthy and youthful hair). Coconut oil has about 50% lauric acid in it that speeds up the thyroid gland. About 3 tablespoonfuls each day is a good amount to get into your body. It is a medium chain fatty acid and does not require bile to break it down, so it goes into the body rapidly and is metabolized very well. It has a good saturated fat content and so it is very stable. I put it directly on a piece of toast in place of butter. It is good to use when cooking eggs, etc. Eating it raw is best, but cooking it on low heat is also not a bad thing to do. Put it on your hair before bathing. Leave in for a few hours. Shampoo off. it will nourish your hair and moisturize it making it shiny. It's a great oil to use, in place of the commercial hair oils that contain chemicals. I use it as a regular hair oil, but I also mix it in with my home made conditioner (coconut milk, coconut oil and honey). My hair has always been healthy and grows very fast. Up until a year ago, my hair was past my shoulders. I wear locz now so I had to cut my relaxed ends off. In just a few months, my hair is brushing my shoulders. It could be due to the coconut oil, or due to all of the above. The key is taking care of your hair and not adding lots of stress to it. Massage your scalp inch by inch with coconut oil. Leave in for 2 hours. This is supposed to increase hair luster and aid growth. To prevent Grey hair massage hair regularly with coconut oil. Wow, great info! Thanks for sharing it, I think I’m going to run out to the grocery store right now and pick some up! I’ve been looking for a new moisturizer, but I hadn’t thought about using coconut oil. I’ve only used it on my hair, so I’ll have to see how it works on my skin. I adore coconut oil and use it as a daily moisturizer. The health benefits are endless! Do you want to reduce the appearance of wrinkles and have a youthful look? Coconut oil has been nature's best kept secret for beautiful, healthy skin. The rich, creamy oil is easily absorbed into the skin and into the cell structure of the connective tissues, helping to limit excessive damage caused by sun exposure. In some cases, it may even help to restore damaged skin. It may be possible to lose weight with coconut oil because: It gives your body the healthy fats it needs for optimal health and energy. It may increase your metabolism - the medium chain fatty acids are digested faster resulting in increased metabolism and more calories burned. May reduce your food cravings - You get a great source of healthy fat in your body, so you may feel satisfied and full, lessening your food cravings. could u let me if one can use the usual coconut oil to massage face. or we need to use the organic one. Organic coconut oil is the best but if you can't get it you can use the one available to you. I love this oil!! It is very light and it does not weigh down my hair. 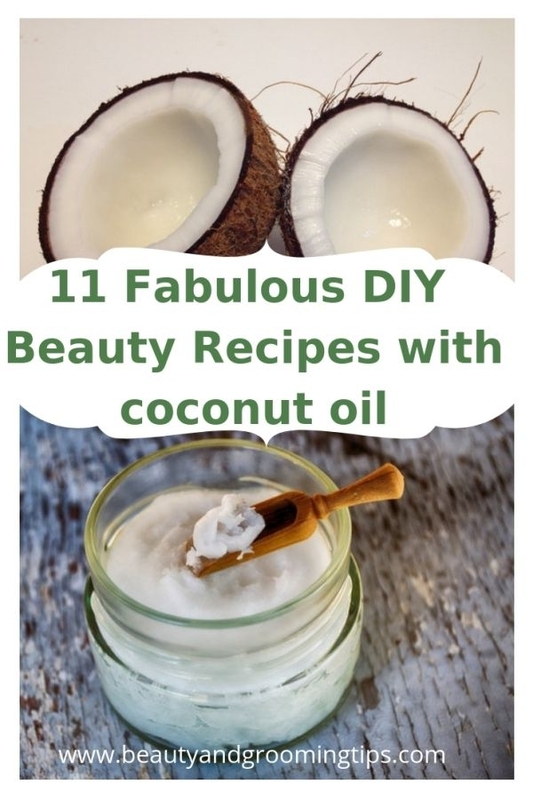 Fantastic coconut oil for all uses, health, beauty, skin, hair, eat, cook, i love how my skin absorbs the oil in 5 minutes.. skin glows..
wow I had no idea there are so many uses for this wonderful product! I make deodorant using coconut oil, and also use it as a make-up remover. Especially good for raccoon eyes after showering! The mascara just wipes right off without pulling at the tender, under-eye skin. I turned to coconut oil after breaking out with not just severe acne over my entire face, but also severe eczema. Frantic, I broke down and broke out my wallet to go to a dermatologist who prescribed me some pills and creams that I’m sure destroyed every good and bad bacteria in my body… but didn’t fix a thing. Finally, I just started slathering myself with coconut oil and FINALLY after months I’m looking normal. During the day I’ll apply to my face, leave for a few minutes, then wipe the excess to avoid clogged pores. Wrinkles are diminishing, the texture feels young again… godsend. Virgin Coconut Oil. It has a natural antibacterial, and makes your skin soft, too. It works for me. Most deoderant has aluminum in it (as does processed salt), which has been associated with breast cancer. Provides high levels of lauric acid, myristic acid, and caprylic acid. 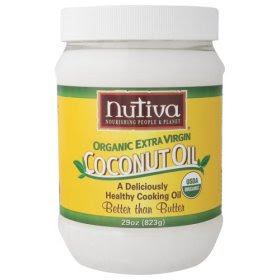 Contains all the healthy benefits of coconut oil without trans-fats. Can help improve ratio of LDL to HDL cholesterol. May help enhance the immune system. Can improve metabolism and support weight loss. Research now shows the body needs some saturated fat for optimum health and virgin coconut oil is a good source since it contains easily digestible medium chain triglycerides (MCT). These MCT have been shown to increase metabolism and stimulate the thyroid which can result in weight loss. Coconut oil is rich in lauric acid, which is known for being anti-viral, antibacterial and anti-fungal. Studies have been done on its effectiveness in lowering the viral load of HIV/AIDS patients. Coconut oil is also being used by thyroid sufferers to increase body metabolism, and to lose weight. Virgin coconut oil is also used for making natural soaps and other health products, as it is one of the healthiest things one can put on their skin. Coconut oil has been described as "the healthiest oil on earth. Applied topically helps to form a chemical barrier on the skin to ward of infection.Reduces symptoms associated the psoriasis, eczema, and dermatitis. Supports the natural chemical balance of the skin.Softens skin and helps relieve dryness and flaking.Prevents wrinkles, sagging skin, and age spots. Promotes healthy looking hair and complexion. Provides protection form damaging effects of ultraviolet radiation form the sun. Smooth Skin contains natural anti-fungal and antibacterial phytochemicals from olive and coconut oil. These oils will gently absorb into your skin�s blemishes and will help to cleanse the skin of the acne-causing bacteria. take coconut milk and coconut oil and 2 teaspoon kasthuri turmaric, mixed all the three and boiled for 10min,then filter it.apply this oil daily before bathing and take bath with green gram powder.your skin really glow and yr color also improved..
One of its most important benefits of this oil is its anti-aging properties. The oil is full of antioxidants which are well-known for slowing down the aging process of the skin. Regularly using coconut based skin care products can greatly slow down the development of things like wrinkles and liver spots. The antioxidants in coconut oil fight off and prevent the development of free-radicals. Free-radicals destroy the connective tissue in the skin, which ultimately causes it to lose elasticity and age noticeably over the years. It is extremely moisturizing. It revitalizes skin and gives it a "glow" that many other products do not. It is well-known for soothing skin irritation and skin problems like eczema and psoriasis.It is also full of antiseptic fatty acids which help stave off harmful bacteria and fungus in the skin.It helps to clear away dead skin cells which smooths skin. Its small molecular structure allows for easy absorption through the skin, giving it a soft, smooth texture and hence is an ideal treatment for dry, rough and wrinkled skin. Unrefined Pure Virgin coconut oil is extremely high in antioxidants that can penetrate deep into the underlying tissues of the skin to prevent and protect against the formation of free radicals that make the skin lose its elasticity. Regular application protects the skin from developing ugly spots and blemishes caused by aging and overexposure to sunlight. That's why this oil is regarded as the best natural ingredient lotion for the skin. It's also very inexpensive and is easily available. The lovely smell and feel of virgin coconut oil is so enticing that you will fall in love with it. Coconut oil can be rubbed all over your body to combat wrinkles, skin discoloration, and the effects of sun damage and aging. In fact, because of the lipid barrier (a layer of fat) that it provides over your skin, it locks in moisture and blocks some of the sun’s damaging rays. coconut oil is known to stimulate metabolic functions and aid digestion. So if you take a spoonful or two of this aromatic oil each day, you can actually lose weight. In fact, the “Coconut Diet” gains more and more popularity each day as a valid and effective way to improve health and stay fit. For skin care. It balances the natural chemical of the skin, preventing aging and skin spots. It also lessens the dryness and flaking in the skin and keeps the complexion fair and shiny. If applied on the skin, it can give protection from the damaging ultraviolet rays of the sun. It can also help with various skin disorders like eczema and dermatitis. It is expedient even in the use of hair. It promotes the health of the hair and eliminates dandruff. The coconut lover is a serious, very thoughtful and contemplative person. Though you enjoy socializing, you are particular about the company you keep. You tend to be stubborn but not necessarily foolhardy. Shrewd, quick-witted and alert, you ensure that you are right on top of any given scenario, especially at work. You need a partner with brains, and while passion is important it certainly isn’t everything for you. You can make a great facial scrub at home using a half cup of coconut milk, a quarter cup of sea salts, and about two tablespoons of baking soda. A good tip is to mix the ingredients with a hand whisk in a glass or ceramic bowl. This is an amazingly effective and very cost efficient face scrub that will cleanse your skin and leave it looking fresh and renewed! Coconuts are full of things that are great for your skin and body, like vitamins A and C, Calcium, Iron, and natural proteins. Coconuts milk is particularly sturdy and rich, and has been used for ages to nourish your hair and skin and leave it looking smooth and radiant. Not much has changed in people's opinion on coconuts as a skin and hair care aid, as it's still being widely used throughout the world in many top products, as well as being utilized at home to make easy and natural cleansers. It may be a coincidence but after having started including coconut oil in my diet and eating about ½ coconut almost every day, I have lost 2 kg in 1 month!Also started using coconut oil instead of expensive facial creams and body lotions – and my skin is looking / feeling better for it! Have been experimenting with freshly grated coconut, stevia and 95% chocolate to make yummy chocolate bars. Taste is fantastic but I am having a little trouble assembling. Any suggestions on how to make the coconut stick together when not using real sugar? I want to share my success as a result of oil pulling therapy. Before oil pulling therapy I had a constant post nasal drip and runny nose as a result of what I thought were mild allergies. I had a box of tissue in every room of my house and at my office. I had to clear my throat very often and it was becoming a problem for me since I sing in my church choir. After only a few days of oil pulling I noticed that all of the post nasal drip and sinus problems were gone. I sleep so much better because I can breathe at night. I don’t have to clear my throat at all and I can sing so much better. Thank you so much for your books and your research on coconut oil. My husband and I also eat coconut oil, cook with it, and apply it to our skin. Coconut oil cured my acne and keeps me healthy. After two weeks of using coconut oil on my hair and scalp in hopes of eliminating the dandruff I've had for over 15 years, to my surprise it's finally going away! I've used so many different brands of dandruff shampoos even prescription ones and none of those worked for me. I' m so happy with my results. I started using it as a face and body moisturizer as well. My skin looks and feels wonderful and it's so soft. I don't use any of those expensive creams anymore this works better and it's natural especially for the kids. We include it in our diet as well so we are getting the health benefits from this wonderful oil. 1. Our hair is not falling out anymore, and it is shiny and soft. I am also sure that my husband has more hair than before! 5. Leg circulation greatly improved. 6. My skin is getting better and better…after all that acne and rosacea, it is truly healthier. Scars seem to be healing. My skin broke out in a rash at first, but I suspect that this is a cleansing reaction. 9. I have noticed that broken capillaries look less red. 10. Knee pain has ceased. Massage the Scalp with pure coconut oil. This will also help growth of hair. My bf uses coconut oil for his skin condition and so far it seems to be working, also I have noticed that his eyelashes have grown considerably since using it. @Anonymous Comment #102: Thanks so much for dropping by and letting us know about your bf's experience with coconut oil. I 've heard of coconut oil being used as a hair treatment before but I've never tried it :) I'm going to have to. Thanks for this! It provides extra moisture to dry hair. Coconut oil is rich in lauric acid, which is known for being anti-viral, antibacterial and anti-fungal. coconut oil can help condition, moisturise and strengthen your hair! Coconut oil reduces swelling of the hair shaft when the hair is immersed into water, protecting the hair from hygral fatigue. Apply coconut milk twice a week and wash it after 1 hour with mild shampoo( mix your favorite shampoo with plenty of water 1 :3 ratio and then use it for washing your hair) , it will look rough before you wash, but after washing you can feel the difference in just a single day. I have tried it. Massage can provide relief from swelling and cramps in legs, anxiety, takes back pain and stress Mothers often report better sleep and less pain. Coconut Oil helps to Grow Your Hair 3X Faster. The best oil to use over night is coconut oil and its cheep to buy. Then just wash it off in the morning. Any infection can be kept under control by using coconut oil on a daily basis, and this includes the most basic of candida and more severe herpes infections. help prevent heart disease and hypertension. Lauric acid also reduces cholesterol levels. massage with coconut oil. There are no side effects to worry about and it is a popular alternative medicine for wrinkles associated with aging. coconut oil can boost energy, provide a feeling of fullness, and decrease cravings for carbohydrates and sweets. really coconut oil makes skin very beautiful and fair, if u massage coconut oil weekly u can get beautiful mark less skin. Massage the scalp and hair with coconut milk or milk. Leave it for hour, then rinse with warm water. Repeat 3 times a week till hair loss decreases. This is such a great blog post! Very good information! Appreciating the hard work you put into your site and detailed information you present. It’s awesome blog. coconut oil arrests hair fall and strengthens the hair. It also adds gloss and shine to the hair, coconut oil makes the hair softer thereby making it manageable. Thanks for the awareness. Quality subject to dwell upon.